Sipping booze while being surrounded by a small army of robot figures may not be a relaxing setting for ordinary bar-goers. But that’s the sort of place where middle-aged fans of the mecha anime genre, which focuses on giant robots or machines controlled by people, would likely drop by and schmooze about their favorite characters or scenes. After going through some remodeling, Robot Kichi in Tokyo’s Ikebukuro district will reopen Thursday and welcome enthusiasts of the genre. 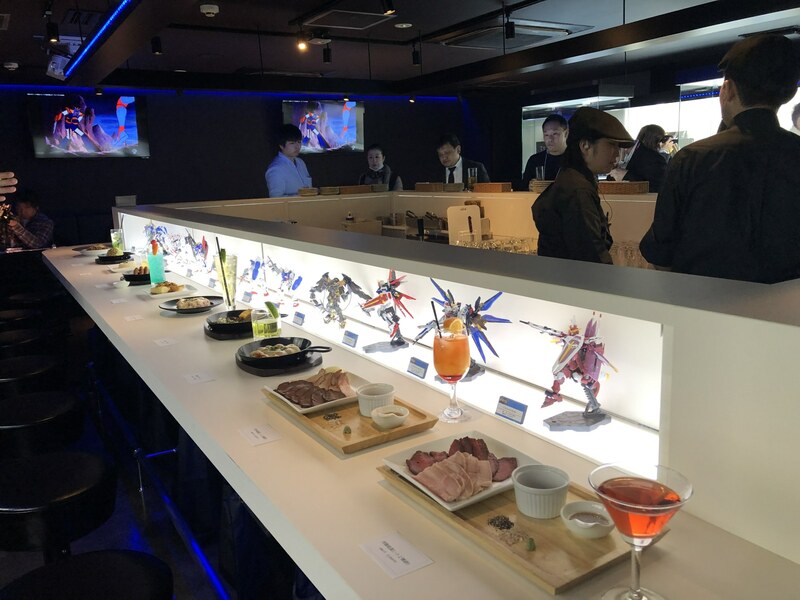 The remodeled bar boasts a large, white U-shaped counter that can seat 20 people and showcases about 100 robot figures, including those from “Mazinger Z,” “King of Braves GaoGaiGar” and the “Gundam” series. Customers can also watch anime on large screens. Robot Kichi is particularly keen to attract male fans of mecha in their 40s and 50s, who used to watch anime titles when they were younger, according to Eiichiro Tsuji, manager of the new business team at Bandai Spirits Co. that produces robot figures. Bandai Spirits and Yoronotaki Co., a Tokyo-based izakaya (pub) chain, jointly launched the mecha-themed bar in November 2017. 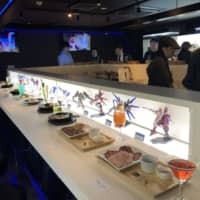 The izakaya-style layout was used in an effort to bring in customers who come in groups, but Tsuji hopes the remodeled bar will be more welcoming to individual customers, who can casually sit at the counter and chat with fellow fans. The company also hopes that its prices — with most food items priced between ¥400 and ¥600 — will attract repeat customers.